Peter and Ursula are very gracious hosts. We were picked up at the train and brought home. There was fresh bread and jam awaiting us. The house was super clean and comfortable. The views from your bedroom are to die for. Also the sheep across the way and the cows coming down the street made you know you were indeed in the Alps. I would recommend this home to anyone and will be back....Wonderful! Very clean and kitchen is well equipped. Convenient place with superb views. I would recommend it. 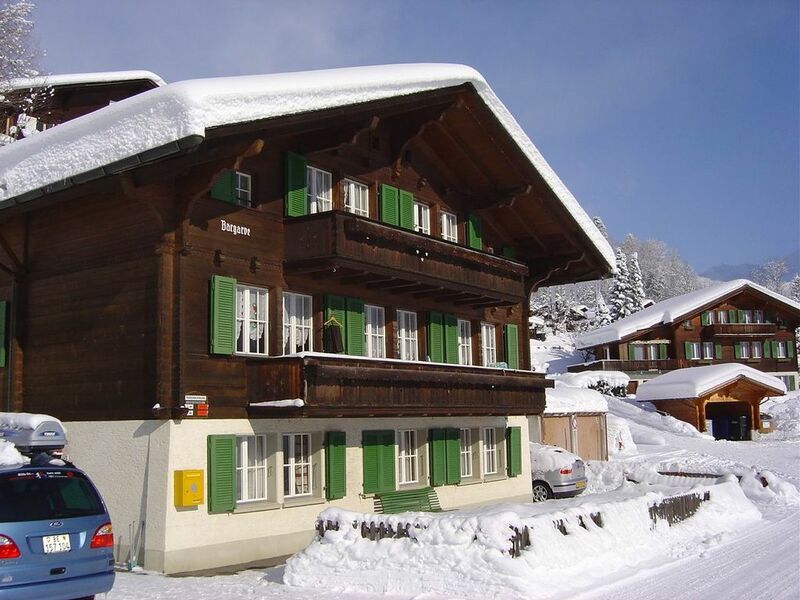 we had a long weekend with our children (19 and 21) in grindlewald staying in Ursula and peters apartment in their beautiful chalet. it was delightful with amazing views of the mountains and the Eiger. there was a huge dump of snow on the Saturday which made everything look magical. Ursula came to our rescue with our attempt at a fondue and even provided a bottle of wine. they were amazing hosts and the apartment had lots of extras such as salt and pepper and washing up liquid which as we were only there for a long week end was great. we will definitely be returning and would highly recommend this holiday let. This was a perfect place for my family and I to stay. It was quiet, the beds were comfortable, and the views unbeatable. The hosts were kind, thoughtful, and generous. Absolutely we would stay there again! Thanks so much for making our Switzerland stay so wonderful! es freut uns das es Ihnen in Grindelwald gefallen hat und wäre schön sie wieder in unserem Hause begrüssen zu können. We loved the quiet but convenient location of Chalet Bärgarve and our second floor apartment was delightful, cosy, warm and well equipped with everything we needed and more, we particularly appreciated the sunny balcony and fabulous views. Our hosts, Ursula and Peter, were very thoughtful and gave us a very warm welcome. Peter kindly transported us from and to the station at the beginning and end of our stay and when we arrived in the apartment we found a basket of local ‘goodies’ awaiting us in the modern kitchen. Ursula advised on local activities and even brought us some Swiss speciality biscuits, Bretzeli, she had made. Altogether, a wonderful stay in Chalet Bärgarve, thoroughly enjoyable and highly recommended. We loved staying at our apartment, with its amazing views of the Eiger and quiet location. The apartment was very comfortable and well equipped for all our needs. Ursula and Peter were very helpful getting us situated on arrival and we had easy access to Grindelwald village and all the hiking we wanted to do. Definitely will return when we get the chance.